Age 85, died peacefully on September 23, 2018 at her home. Dolores was born May 7, 1933 the daughter of Albert R. and Catherine L. (Purtell) Sadler. Dee felt fortunate to have art as an important focus in her life. It was her opinion that one should paint from their inner self and let the image express whatever was there. Dolores was preceded in death by her first husband of 24 years, Robert Wagner; and her second husband of 17 years, William Clancy Jr. Surviving are her 5 children: Robert (Tracey) Wagner, Catherine (Robert) Groggel, Elizabeth Schulthess, Patricia (Khalid) Mian, and Amy (James) Cook. 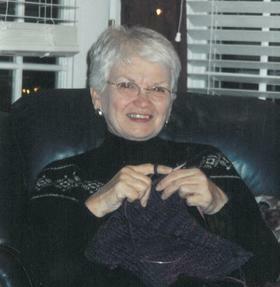 Her 14 grandchildren and 4 great grandchildren were a large part of her life. Cremation will take place. Mass of Christian Burial will be held at St. Thomas More Catholic Parish Church, 421 Monroe St in Kalamazoo on Friday (Oct 5) at 10:30AM. Burial will follow at Mount Olivet Cemetery. Please visit Dolores’ personal web page at www.betzlerfuneralhome.com, where you can read her story, archive a favorite memory or photo and sign her online guestbook. Memorial contributions may be made to Hospice Care of Southwest Michigan. Arrangements by Betzler Life Story Funeral Home, 6080 Stadium Dr Kalamazoo, MI 49009, (269) 375-2900.